Tourist Trappe Belgian-Style Tripel wins 1st Place in Can Can Awards!! 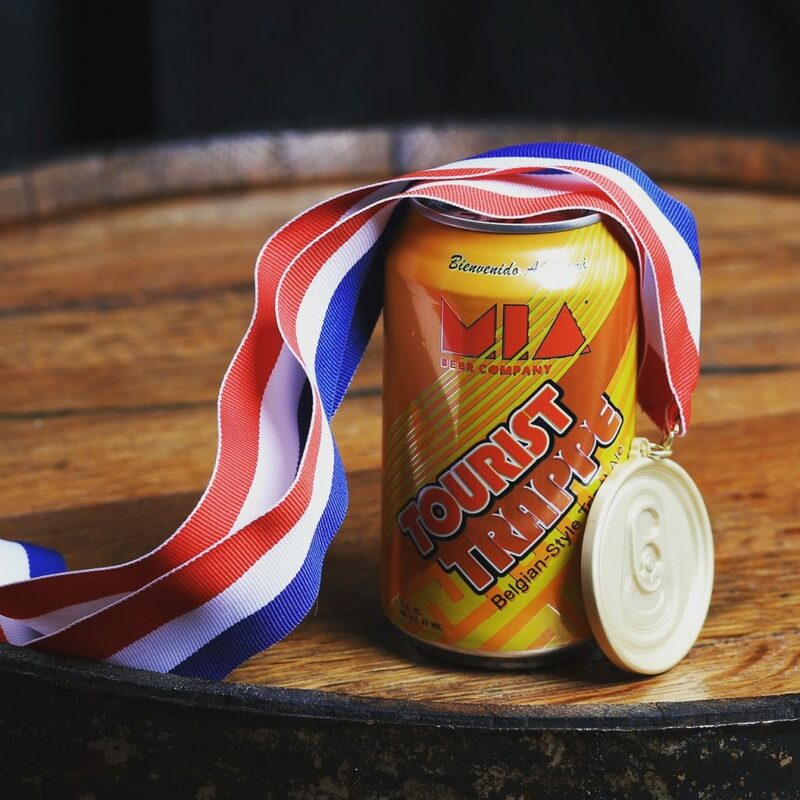 Doral, FL— MIA Beer Company’s Tourist Trappe Belgian-Style tripel brough home the First Place Medal in the 2017 Can Can Awards in its category of Belgian-Style Tripels and Mega Mix Pale Ale brought home the Second Place Silver Award in the American-Style Pale Ale. The Can Can Awards is the premier beer competition focused solely on canned craft beer. In its 2nd year, over 400 beers were entered from across the globe. 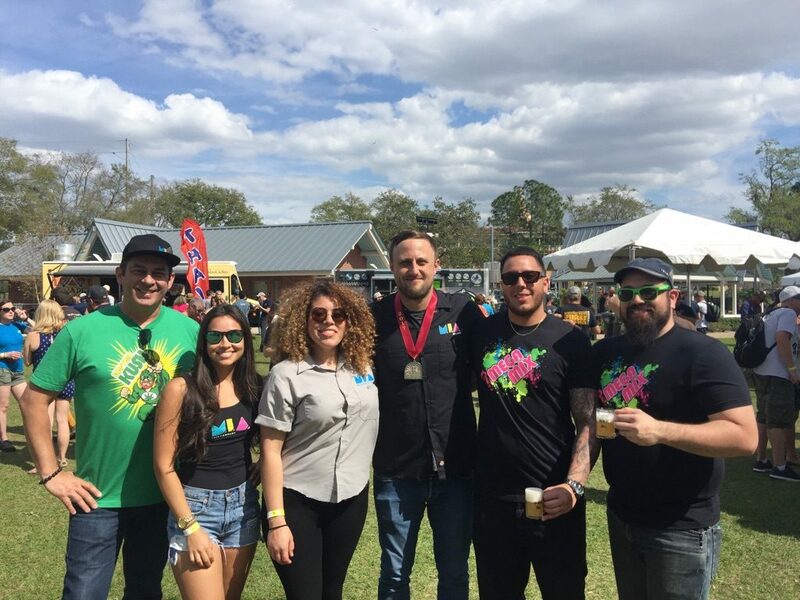 Among their 24 judges from across the Southeast, 5 were professional brewers, 10 had a Beer Judge Certification Program rank of Recognized or higher, and others were experts in the beer industry. Judging took place over 5 days near Nashville, Tennessee and Atlanta, Georgia. The Can Can Awards competition was sanctioned by the BJCP. Judges were not allowed to judge beers in which they had an affiliation and judged all beers in blind taste tests. Medals were not awarded to any beers scoring less than 30 out of 50. The Can Can Awards are trying to elevate the conversation and speed up the adoption of canned craft beer. There are still some beer styles that are seen as “not good for cans” and that should not be the case. It is our sincere hope that a can-only competition can help make a dent in that perception over time. According to 2016 Q1 sales data, canned craft beer is still only 9% of the total craft beer market. In contrast, bottled craft beer comprises over 65% of the market. So while cans may be increasing in popularity, slowly but surely, they are still not getting the recognition they deserve as a vessel to transport beer. Not only are they better for the beer, they’re much better for the environment. Even if you take recyclability out of the equation, they are still much cheaper to ship because they take up less room and weigh less, requiring fewer trucks and less fuel. In this new world of craft beer where the number of out-of-state and out-of-country breweries distributing is only increasing, mitigating the impact of transportation on the environment is a huge reason to advocate for cans. Cans are more convenient, as you do not need a bottle opener. They also stack easier and chill quicker than glass. Last but not least, cans can be brought to beaches, rivers, lakes, pools and golf courses (just to name a few fun places to drink beer). 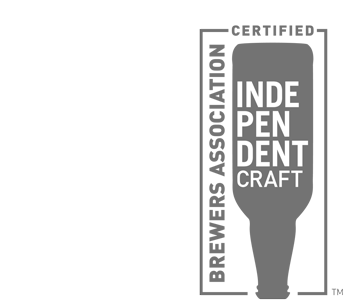 MIA Beer Company Announces Distribution to Pennsylvania! Doral, FL— Beginning May 1, M.I.A. Beer Company will be expanding it’s distribution to Pennsylvania, partnering with Nevulis Beverages as their distributor. Nevulis will distribute draft and packaged versions of M.I.A.’s flagship beers including Miami Weiss Hefeweizen, Mega Mix Pale and Tourist Trappe Belgian-Style Tripel, as well as seasonal and limited releases as they are available. Initially, M.I.A. beer will be available in the following cities: Philadelphia, Allentown, Harrisburg, and Scranton. “M.I.A. is excited to bring our line of Miami-inspired beers to Pennsylvania. We have many vacationers who have discovered us, and now, they can enjoy a little taste of vacation at home,” said Eddie Leon, Co-Owner of M.I.A. Beer Company. Pennsylvania is the second state in which M.I.A. Beer has recently expanded its distribution, following Ohio in December of last year. Ranked as the 9th fastest growing production brewery in the US in 2016 according to IRI Data, M.I.A. is steadily growing its reach into new markets. With the large number of northern tourists visiting Miami and M.I.A.’s taproom, it is projected to expand to more states as the year progresses. M.I.A. Beer Company is a production craft brewery, taproom and restaurant located in Doral, Florida. Our team is passionate about the quality of our beers. While many of our beers are inspired by traditional recipes, we pride ourselves on continually crafting new formulas and incorporating exotic and locally sourced ingredients. We are known for our vibrant branding and vast portfolio of unique brews infused with Miami’s rich culture. M.I.A. is owned by Eddie Leon, Johann Beckford and Kevin Smith. Michael Demetrus, formally of Finch’s Brewing Co. in Chicago, is the head brewer. Encanto de Amor wins Silver! At this year’s Best Florida Beer Competition, M.I.A. Beer Company took home the Silver Award in the category of European Sours for our Berlinerweisse, Encanto de Amor, made with raspberry and passion fruit. There to accept the award was Owner Eddie Leon, Head Brewer Mike Demetrus, Brewer Rusty Hernandez, Lead Cellarman Cris Laserna, Cellar Person Kat Castro, and Brewery Assistant Ana Jaramillo. 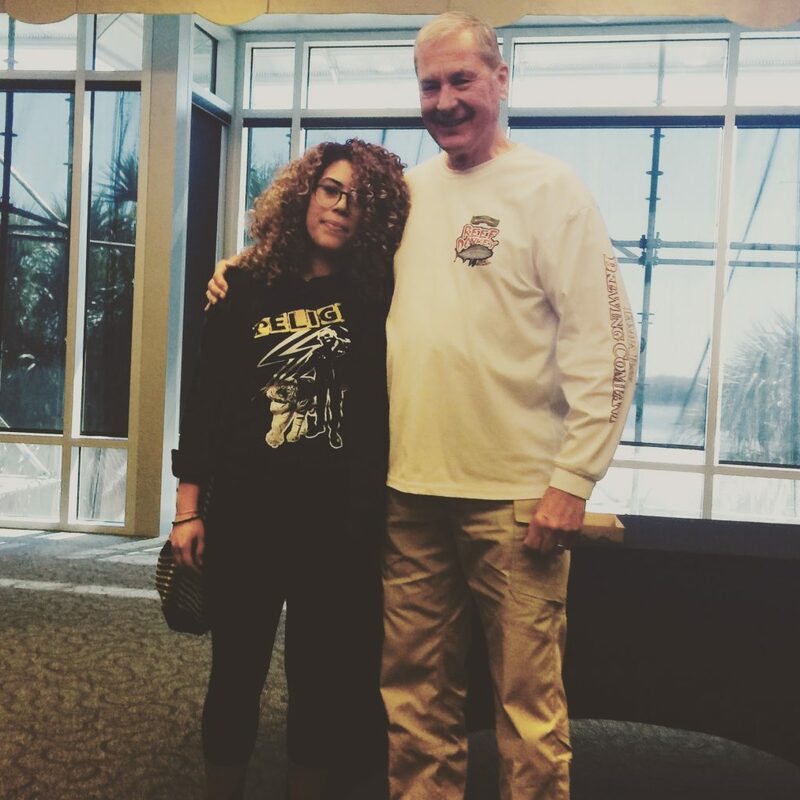 Our very own Kat Castro was awarded the John G Doble III Memorial Scholarship from the Florida Brewers Guild on 3/4/17. Kat was the only recipient selected from a large pool of qualified candidates from across the state who applied to attend the World Brewing Academy Concise Course in Brewing Technology at the Seibel Institute of Technology in Chicago, Illinois. MIA Beer Co. also left the Florida Brewers Guild Fest with a Best Florida Beer Championship Silver Medal for its berlinerweisse Encanto De Amor made with raspberries and passion fruit. She is currently brewing her first beer, a small batch of Gose, that will be released in the MIA taproom in a few months. We are all very proud of her at MIA, and we’re looking forward to tasting her premiere beer! 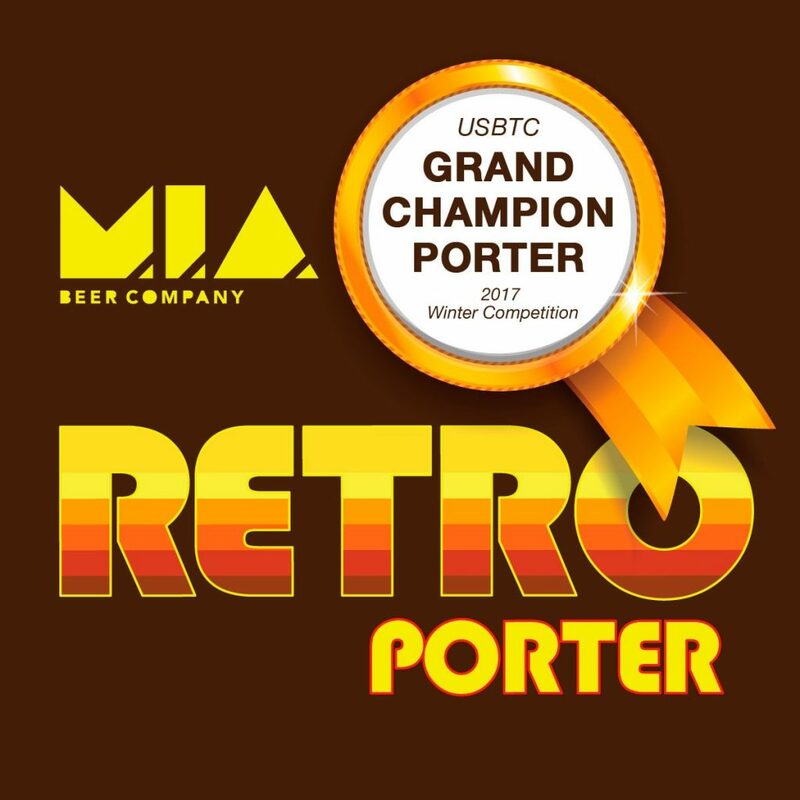 Retro Porter is Grand Champion!